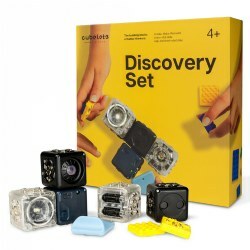 Encourage children to learn about energy, light, and sound with our selection of lenses, mirrors, light tables and boxes, solar energy kits, and other science resources. 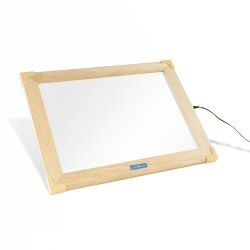 Ultra-slim LED activity tablet with a hardwood frame provides a bright, consistent and evenly-lit surface that is perfect for light and color exploration, science activities, tracing, stenciling and more. Weighing only 5 pounds, the 12" x 16" illuminated center features energy-efficient LEDs. Guaranteed to last up to 30,000 hours. AC power adapter included. Protective plastic covers reinforce corners and ensure durability. 3 years & up. 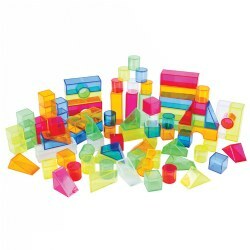 Sturdy, high-quality, translucent interlocking builders are perfect for engineering, architecture, construction, the light table, and fine motor play. Sets universally connects with other interlocking builders for endless creations. Includes a sturdy storage container with locking lid. 18 months & up. 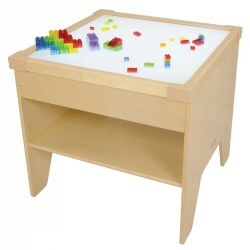 Freestanding table with built-in electrical lights invites children to explore color mixing, light, and shadows. Adult supervision. (Prism bricks and plates sold separately.) Minor assembly required. Measures 15"H x 25 1/2"W x 25 1/2"D.
3 years & up. 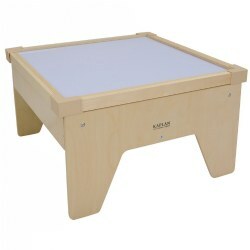 Introduce early math, science, and literacy concepts, as well as fine motor skills, in a fun and engaging way by utilizing included materials on your light table. 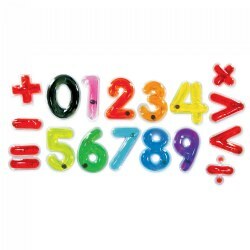 Over 200 pieces including transparent numerals, 2 and 3 dimensional shapes, circular dots, and bead-filled shapes - all in a variety of colors! Three sorting trays and an activity guide are also included. 6 years & up. Let children discover color, images, reflections and illusions as they explore on their own or with instructions from the activity guide. 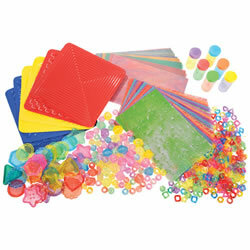 Includes over 100 vibrant stringing rings, 30 big buttons, 6 optical illusion plates, 24 sheets of frosted glass paper, 24 sheets of stained glass paper, 75 clear brilliant beads, and 6 color vials. 4 years & up. 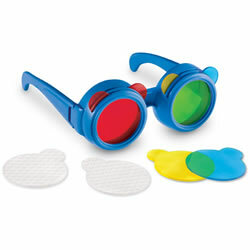 Unique child-size glasses feature easy-to-change lenses -- 2 each of red, yellow, blue and distortion lenses. Combine up to 2 lenses per side to teach color mixing (secondary colors). Overlap lenses without their durable plastic frames for kaleidoscope fun! Single lenses teach primary color identification or serve as great early science tools for observation. Color mixing guide included. 2 years & up. Children can experience fascinating optical discoveries about color, light, reflections, and more with these 5 easy to hold framed panels. 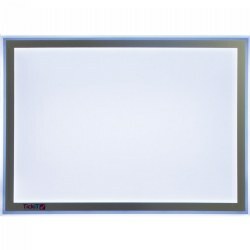 Each durable plastic frame measures 7 3/4" x 5/8" and contains either an unbreakable mirror, see-thru acrylic colored panel in red, yellow and blue, or a multi-faceted panel. Includes activity guide. 3 years & up. 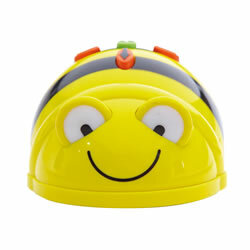 The Bee-Bot® is a programmable floor robot that is ideal for teaching control, directional language, and programming to children. It has a sturdy and small design with clear and bright buttons and a memory of up to 40 steps. Sounds and flashing eyes confirm your instructions. Exciting way to introduce sequencing and can be used for individual or collaborative play. Rechargeable using the included USB cord attached to any computer. One-year warranty. 3 years & up. 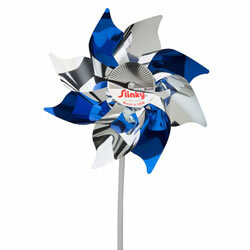 Pinwheel features 7 1/2" blades for fun outdoor play. 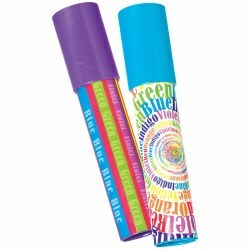 Spins easily and displays a kaleidoscope of color. Made of crush resistant metallic film with an extra sturdy plastic handle. Comes in an assortment of colors, so colors will vary. One pinwheel. Made in the USA. 3 years & up. 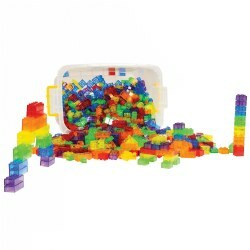 A rainbow assortment of 6 different colors and 6 different shapes make up this set of plastic translucent building blocks. They make a perfect accessory for a light table. Largest block measures 3 15/16" x 1 5/16". 108 piece set. 9 - 13 years. Scatter rainbows all over the room and discuss light, color, and refraction! Acrylic prism, 4" tall. 3 years & up. Make gross motor development more fun with these jumbo squishy shapes! 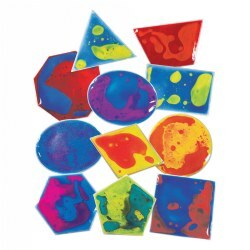 They come in a full range of basic geometric shapes filled with a combination of jelly filled liquids that children can manipulate with their fingertips. Shake, pat, rub and step on the shapes to mix the two colors together to get unexpected results. The material separates back into their original colors in minutes. 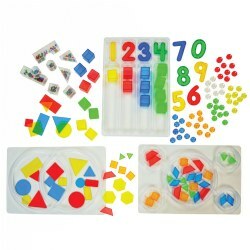 Includes ten geometric shapes, up to 9" x 9". 3 years & up. Appeal to the senses while learning the alphabet and spelling simple words! Commonly used letters are doubled up making it easier to spell out sight words and students' names. 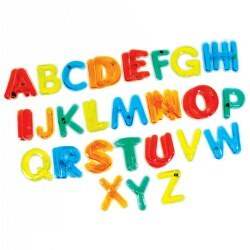 Inside each letter is a small disc children can move around to practice fine motor skills. Use the letters on a light table to create glowing words and layer them to make new color combinations. All vowels are red. Includes 38 letters up to 3 1/2" x 4 3/4" and guide. 3 years & up. Just twist and experience a vibrant light show. Each turn creates intricate mosaics in bright colors. 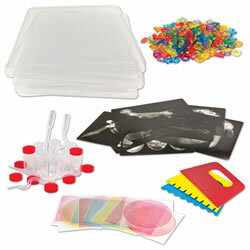 Perfect for science centers and for promoting light and sensory exploration. Styles may vary. Freestanding table fits where space is limited. 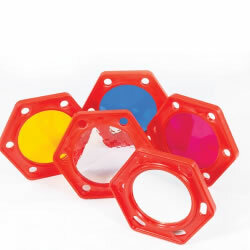 Accommodates four prism bases for brick play. (Prism bricks and plates sold separately.) Minor assembly required. Measures 24"H x 25 1/2"W x 25 1/2"D.
3 years & up. Soothe your senses with this tranquil putty that offers incredible color shift from blue into purple right through to red and copper. 3.2 oz. tin. 3 years & up. Putty starts out clear as glass then develops a cloudy appearance that quickly fades back to crystal clarity once you put it down. 3.2 oz. tin. 3 years & up. A tropical green explodes into a bright fluorescent yellow with just a touch of heat. Putty requires a daily squeezing. 3.2 oz. tin. 3 years & up. 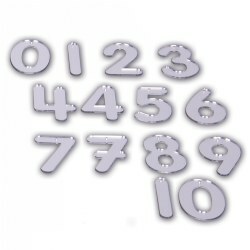 Set of 14 laser cut double-sided mirror numbers from 0 to 9, including two styles of the numbers 4 and 7 and an additional 1 and 0. 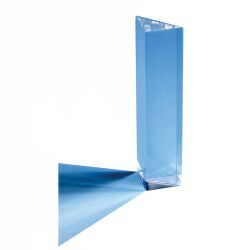 Made from highly reflective acrylic. 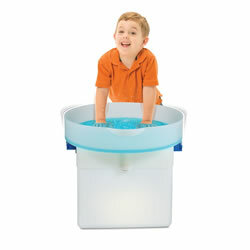 A sensory manipulative for children to experience as they feel, see, play with and trace around. Perfect for light play and sand and water experiences. All pieces come with a small hole at the top so they can be strung up to create mobile displays.